It’s another Marvel-ous Q&A with Diamond Select Toys president DSTChuck! This time, he is answering questions about the Marvel Select action figure line, and wish lists are, as usual, the name of the game! Read on to see what Chuck has to say about Cable, Carnage and the Avengers, as well as Jean Grey, Adam Warlock and Rogue! DSTChuck: I am sorry, he is not planned right now, and it looks like the Watcher will have to go back on hold for the time being. Hello, I’m from Brazil. I would say that love marvel select, especially the X-Men. I would love to suggest: Rogue, Storm, Jean Gray, Jubilee, Bishop, Psylocke, Omega Red, Archangel, Beast, Cyclops, Sauron among others. Also with the uniform by Stan Lee. Thank you and much success. 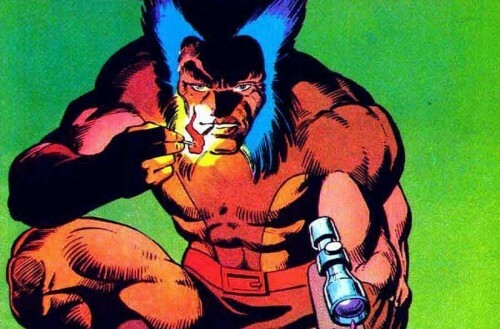 DSTChuck: Marcos, the X-Men are always characters we’re looking at for inspiration. We’ve asked about a Stan Lee figure from the characters he plays in the movies, but so far no luck. Hi there! My children are avid superhero fans and love the Marvel Select line as nothing comes when it comes to depiction and representation of characters as these figures do. But they keep asking for Omega Red, Lady Deathstrike, Apocalypse and the Horseman version of Wolverine. Any chance they could be made some time in the future and added to the already excellent Select catalogue? DSTChuck: Best I can do is tell you one of the ones on your list came very close to being made, so certainly it could happen. Hello DST, is there any chance for an Adam Warlock figure? He sure had many different incarnations, but I reckon his GotG-era design would be pretty neat – no need for accessories other than an extra head which would give us a Magus figure too. On the other hand, his 90s incarnation is classic too – with the cape, the staff and of course, the one and only Infinity Gauntlet :) Even if he’s not in the plans at all, which version would you guys love to see (and potentially make) the most? Hope we’ll see him some day, he would surely be happy to take his place among other cosmic characters you already delivered. Cheers, Peter. DSTChuck: Sorry Peter we have no plans for an Adam Warlock at this time..
DSTChuck: Glad you like what we’re doing! We’ve got Rogue on the short list, so hopefully sooner rather than later. Hi, Will you be doing a Marvel Select Galactus figure? I really think this would be an amazing figure to add to the collection. Thank You. DSTChuck: Gemma – while cool, I have NO idea how we’d do a figure that large, and how much it would have to cost at retail. Hey, Chuck. :) When are we gonna see all of the entire Avengers 2 action figures? (I hope we see Black Widow this time). DSTChuck: Justin, we’ve revealed a few of them already, and the last one should be soon too, approvals are moving right along. Is there a possibility for some Young Avengers Minimates in the near future? Also what are the chances of Phoenix Force Namor and Magik to round out that team? DSTChuck: I do not think we will be going back to Phoenix Force anytime soon, but Young Avengers would be possible. Besides Cable & Carnage, can we expect some new characters in the Marvel Select line in 2015? I appreciate a good updated version of old characters from time to time, but I’d love to add some new faces to the shelf this upcoming year. DSTChuck: Yes, there will be new characters we have never done before for 2015, in addition to Cable (we did an Ultimate Carnage several years ago). -Jean Grey (the version with the green outfit with the phoenix symbol) -Mysterio -Comic Version Red Skull (SHOW HIS TEETH, DON’T GIVE HIM A STRAIGHT MOUTH!) -The Kingpin -Comic Version Mystique (Since Movie Version couldn’t be released). I would be reallllllllly happy if you were going to release any of those. Do you think I will be happy in 2015? DSTChuck: Okay, I can put it this way – hopefully you have other characters you are looking forward to. Hi, I recently became very interested in your Marvel select toy series and have purchased a few. I am a Spiderman fan and I am very interested in finding the Web of Spiderman figure that you launched some time ago. I haven’t been having luck in searching for it since it is an older product. Will you re-launch or re-make this figure anytime soon or in the near future? Many thanks! DSTChuck: I do not think we have plans at this time to release more black outfit Spideys, but the sales team is always checking with retailers to see where their interests are. Is there a Daredevil potentially in the works from the Netflix series? DSTChuck: Right now, we are not working on the new TV shows, but for sure we’re looking forward to them and will keep a close eye on how well they do. Got a question for the president of DST? Submit it via the drop-down form above! Next Up: New Summer Releases: Wolverine, Cthulhu, The Big Fat Kill and More! Ask DST #255: Modern Marvels! Ask DST #251: Marvel Ad Infinitum!